You never want to say you are good at anything in this state. It always turns out there is someone who is beautifully better. This is a state full of resident badasses—people who can out climb, out ski, out run and generally just beat you into the ground while having fun. But who is the most badass of all? It’s up to our readers to decide. 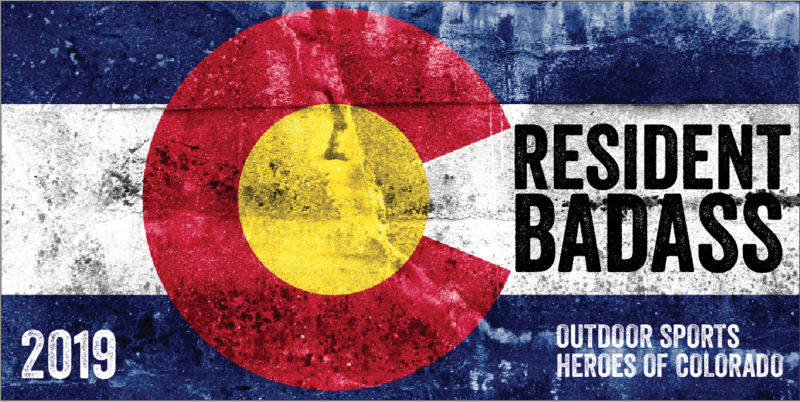 You have already nominated your choices for COLORADO RESIDENT BADASS in the following categories: ICE, ROCK, AIR, ENDURANCE, HUMANITARIAN, SNOW, WATER, WHEELS, WILD CARD. We pared the list down to the top five nominees in each category. Now, it’s time to square them off until we determine a Badass Winner in each discipline. In Round 2 (starting December 4) we will determine the two top vote-getters in each category and square them off to determine our winners. Vote below in each category (one vote, per category, per day) and be sure to come back on December 4 to vote your favorites over the top. Voting for the 2018 Resident Badass is over. Winners announced in our January issue. FINAL – January 2, 2019 The BADASS winners from each category are announced in the January-February print and digital live issues of Elevation Outdoors magazine! Readers can then come back online to vote for Colorado’s Ultimate Resident Badass from the finalists. That winner will be announced on February 27, 2019. Any indication of cheating may result in disqualification of the offending party.